Students engaging with their host country and their community is an important aspect of the study abroad experience. By dedicating time outside of the classroom, students are able to earn a CLC (Co-Curricular Learning Certificate). 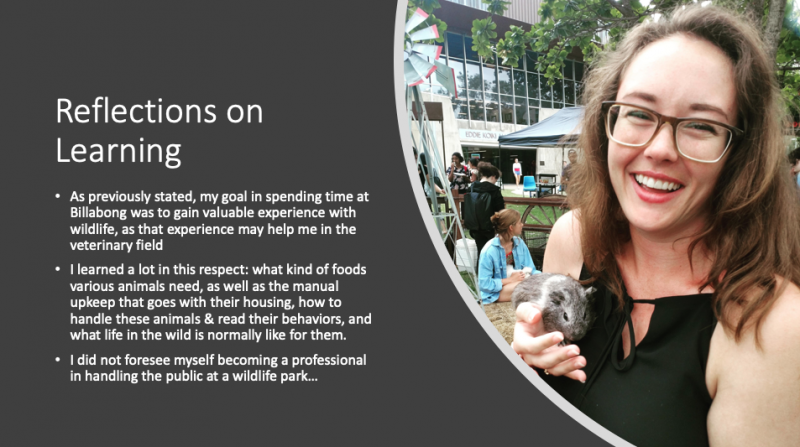 Aspen Settle, an Arcadia University student who studied at James Cook University in Spring of 2018, chose to deliver a presentation on her volunteer work in an animal sanctuary in Australia. You can find her wonderful presentation here.